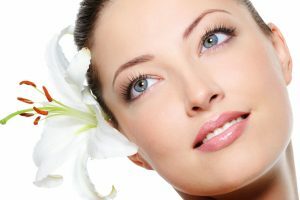 Occupying the center of the face, the nose plays a prominent role in aesthetics and facial harmony. Additionally, it serves a crucial role in breathing. Trauma, congenital defects, and even prior surgery can all negatively affect the form and function of the nose. Rhinoplasty is considered the most difficult procedure in facial plastic surgery because function must be preserved while making cosmetic changes. The ideal result enhances the appearance while preserving or restoring breathing. Several surgical approaches are available to allow access to the nose for surgery, and the decision of which approach is best is dependent upon the anatomy and desired changes of the patient. The final outcome can take up to a year to be realized. Revision rhinoplasty is even more difficult and challenging to perform because there is scar tissue and altered anatomy that must be dealt with from prior surgery. Oftentimes, too much cartilage has been removed from the nose making it difficult to create an ideal shape. The remaining cartilage is too weak to support the nose and collapses, making it difficult to breathe. To correct these problems, it is often necessary to utilize cartilage grafts to reconstruct the nose.